The focus of this article is stretching your marketing dollars and turning your marketing investments into assets. Every business owner hates waste and strongly desires squeezing every last drop from their investments in product, equipment, and marketing investments. Marketing content is an asset. A product or service featured on your website is an asset. Advertising (print ads, radio, TV), information, social media posts, email marketing messages, text marketing messages, printed material of almost any kind is an asset. Videos your business produces to stimulate sales, are assets. Here’s how to stretch their value, their reach, and transcend their cost. Repurposing Content is Valuable, Economical, and Effective. Once you have created a marketing message of any kind, you can use it again across multiple platforms. Sometimes, you can use it over and over again. Doing so makes every marketing message more valuable, economical, and effective. Let’s take an example of a product or a service. I’ve got this fictitious item called a Fizbin. A Fizbin could be a menu item at a restaurant, or a service provided by a plumber or electrician. It represents anything you want to promote. You want to feature the Fizbin because it’s something you sell. Have you listed it everywhere? Repurposing means using one piece of content and reusing it (repurposing it) in other ways. It has a place on your website. You promote it on your printed material or print ads. You have a photo of it on your social media profile and/or you have used it on social media posts. Listing every product or service you sell in your business ON ITS OWN PAGE. Use Syndication-Nothing Should Stand Alone! Reach more people through marketing syndication! Think about TV shows-When a popular show goes into its 2nd or 3rd season, they start showing reruns. After awhile, you’ll start seeing reruns on other TV channels. Reruns are syndicated so they reach a larger audience than a single time slot. This is the idea behind syndication: PUT YOUR MARKETING EVERYWHERE IT CAN BE. Your marketing can be easily syndicated to multiple social media sites, blogs, directories (Like Yelp!, moderncoupon, Trip Advisor, and plenty more depending on your industry). It takes a fraction of the time to syndicate (repurpose) the content you’ve already made. Use these techniques to stretch your marketing investment and reach a bigger audience. 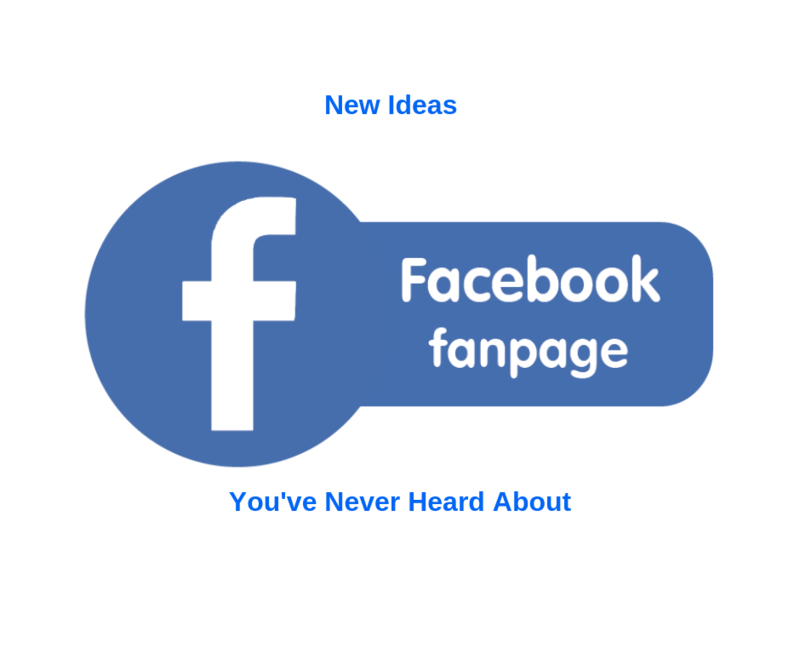 In an article I recently wrote for the March, 2019 edition of the One Good Idea Newsletter, I’m suggesting that you allow your Facebook Fans to post directly onto your business Facebook Fan page. Here’s why (and HOW to do it right): The video below shows you how to adjust the Facebook Fan page Settings, which is important if you decide to implement this strategy. Customers and fans who post directly on your wall is social proof that your business is engaged with happy and satisfied customers. You can run promotions which encourage your existing customer base to post on your Fan page. For example, April is National Humor Month. In the article I mentioned above, I suggest to use this wacky “holiday” to stimulate activity on your Facebook page by asking customers to post a pithy joke. You can then LIKE the joke and thank them for it. You can even reward customers and fans who post on your page with a coupon. You do this by replying to their post with a Thank You and a link to a coupon on your website or on your moderncoupon page. Doing so, increases the chance of doing business with the customer again, sooner than later. Encourages customers to LIKE your Facebook page which grows your fan base. You can respond and engage customers who post on your page. When you do this, you can offer them a reason (incentive) to communicate with you on Facebook Messenger. You want to do this to open up even more ways to communicate. Communicating through messenger is great because people receive messenger alerts and 90% read messages on their phones. Facebook posts reach a much smaller number of your fans than ever before. However, Facebook rewards pages which get high engagement, so encouraging customers to post on your page will likely make your posts show to more people. 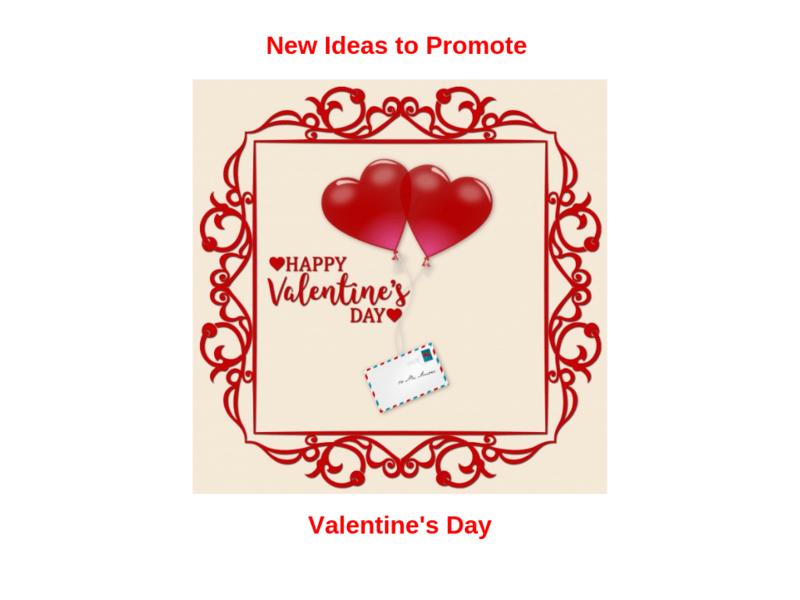 This article provides a handful of ideas for marketing your business on Social Media, Email, In-Store Promotions, TV, Radio, and Events. 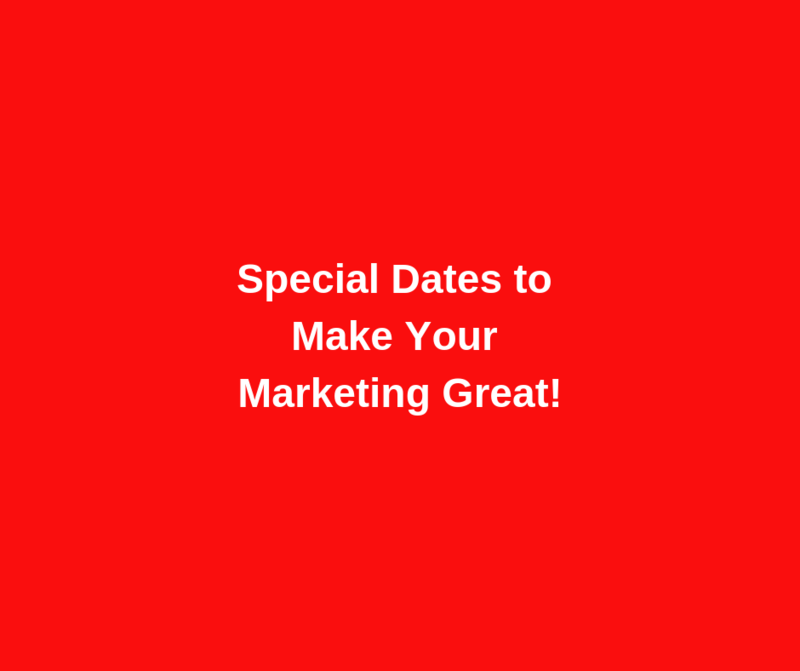 Special Dates to Make Your Marketing Great! 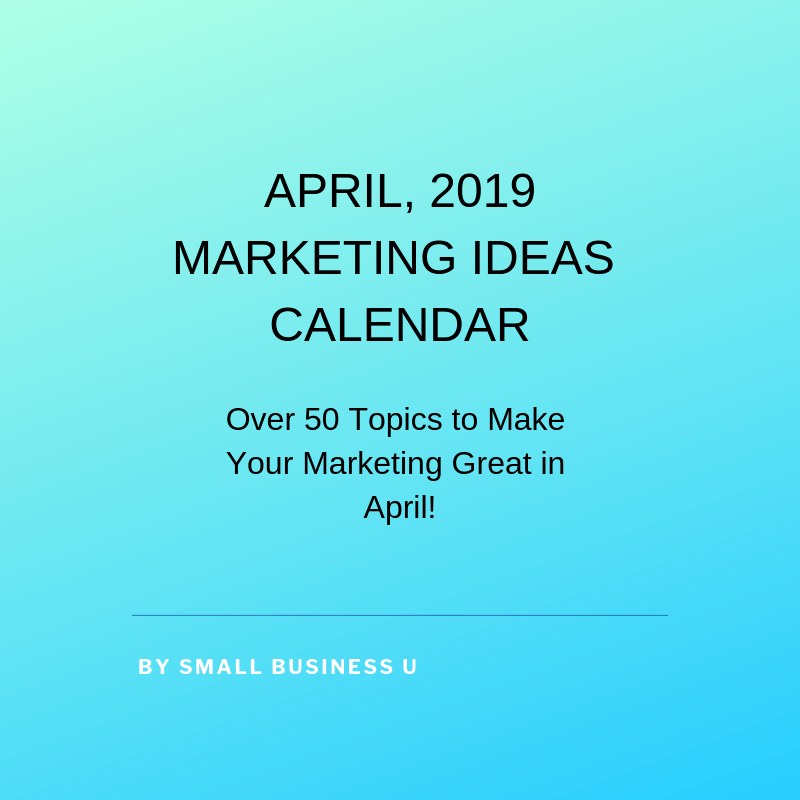 For the past several years, I’ve been providing a Marketing Ideas Calendar on the smallbusinessu.org blog. I’ve decided to take this resource one-step further. Starting with this edition of the One Good Idea Newsletter, Special Dates to Make Your Marketing Great, will be a continuing feature. My team and I will pick a few dates & topics and give you ideas on how to implement them for marketing your restaurant in print, social media, and email. People pay more attention to marketing messages with an interesting topic. Some will share & spread the word. Keep in mind, you can modify these to fit your own style. These are to get your creative juices flowing. Get a Once-Weekly small business marketing or management tip. SUBSCRIBE! March 1st is Read Across America Day. Marketing idea: Have a children’s book donation event. Offer $1.00 off the bill for every kiddie book customers donate and deliver them to a worthy cause. This is a great photo opportunity. Encourage customers to take photos of their children donating books. Add an incentive to check-in on social media and post selfies. An alternative could be a Free Kid’s meal or gift card for use on the customers’ next visit. This makes a great theme for an event you can market on Facebook, Yelp, Eventbrite, Nextdoor, and even Craigslist. March 8th is National Unplugging Day. It’s amazing how people can sit around a table and their eyes are all glued to their phone. Have fun with this holiday by creating a PHONE-FREE ZONE. You probably shouldn’t demand your customers not to use their phone, but you can offer to seat people in a PHONE-FREE ZONE on National Unplugging Day. “Turn off your phones for 10% Off (or a Free Dessert). Promote this special day on your social media and broadcast email. Your customers will probably share their refreshing experience with their family and friends. Combine Coffee & Pie to celebrate two themes in March. 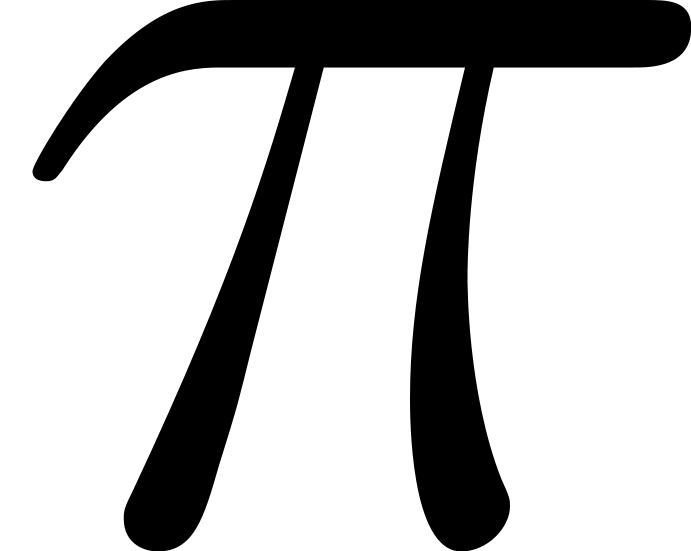 Incorporate pie into Pi day. Dessert pie, pizza pie, Shepherd’s Pie, Pot Pie, Vegan Pie. Invite customers to participate in and attend a pie tasting contest. Pick some menu items or make some new ones you can price at $3.14. There’s a lot of profit in coffee and you should sell as much as you can! Premium coffees bring premium prices. Coffee sells desserts and desserts sell coffee (especially pie!). Use March as your springboard into a deeper dive into the coffee business. Instead of asking your customers if they would like some coffee at the end of their meal, show them your coffee menu! Get the word out: Nurses get a Free Appetizer or Dessert with an order of a regular priced entrée. 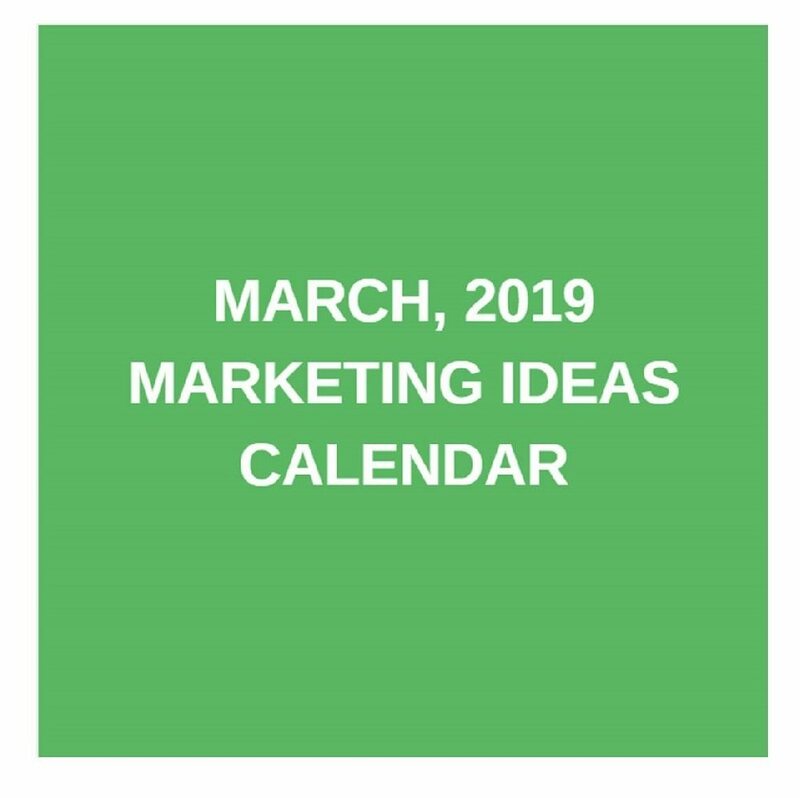 Take a look at the March Marketing Ideas Calendar and see how you can put more ideas to work to make your marketing fun and interesting . Oh, and one more thing, there’s no reason why you can’t make your promotion last for more than one day. Keep it going all week or all month if you want. It’s your restaurant, YOU make the rules. 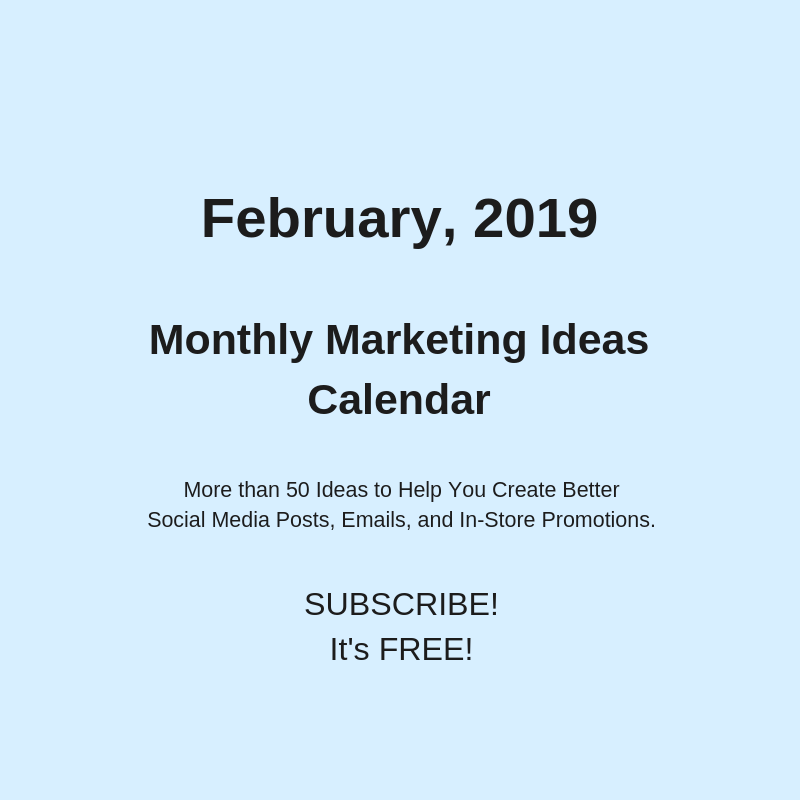 Use the monthly marketing ideas to fuel your emails and social media efforts. Search engine optimization (SEO) is one of the best business investments you can make. SEO is a set of techniques which makes your business and your website show up on the search results at exactly the right time- when someone is looking for the information, product or services you sell. This is target marketing at its finest. Search Engine Optimization is Better Than Advertising. Why is SEO better than advertising? I will give you a few reasons why I believe this is true, and then I’ll explain. SEO brings the right people to your website. SEO helps you sell what you want to sell so you can focus on your favorite and/or most profitable products or services. SEO lasts longer than advertising (and often improves with age). SEO fundamentals can be learned and applied by just about anyone, and even if you pay someone else to do it for you, the long-term payoff is well worth the investment. I’ve been selling merchandise online since 2001. But it doesn’t matter if you’re selling merchandise, services, or food, SEO works. SEO brings the right people to your website. Contrary to most forms of advertising, where it’s only a matter of luck if you get your message in front of the right people, SEO delivers ONLY the people who are specifically looking for what you’re selling. SEO Example #1. I sell Heavy Duty Contractor Bags, Wholesale. I don’t sell them one box at a time. I sell them by the pallet (3000 bags per pallet). If you go to Google the term: Wholesale Contractor Bags, you’ll find my company, Mazer Wholesale, on the first page of the search results. We’re right up there with Home Depot, Lowe’s and other big-name sources. We usually have 2 or 3 impressions on the same page. There are 1000’s of companies and stores who sell contractor bags, but what makes OUR company move up to the top of the search engines are the words we use on our website. The word, Wholesale makes our website show up when a potential buyer is using the word Wholesale in his or her search. Simple! So how could you use this technique if you’re not a wholesaler? SEO helps you sell what you want to sell. Every business owner has their favorite product or service. It may be because it’s the most profitable, the easiest to delegate to employees, or it just very enjoyable in some way. Optimizing your website can help you sell more of what you want to sell and this makes your life and your business much more enjoyable. SEO Example #2. Let’s say you’re an electrician and one of your favorite jobs to get in replacing the electric panel in older homes. To get your business and your website to show up on the first page of Google, you need at least one page on your website detailing that particular service you provide. So, in this case you want to make a page called Electric Panels and on that page, you want to have at least one photo of an electric panel, and as much detail on the subject as is practical. Since this electrician services a certain geographical region (let’s say a 3-county radius), you’ll want to mention those counties on the page as well as some of the specific towns in those counties. In this case, this electrician is getting his website in front of exactly the right people who are in his specific service area looking for this specific service, at exactly the right time. 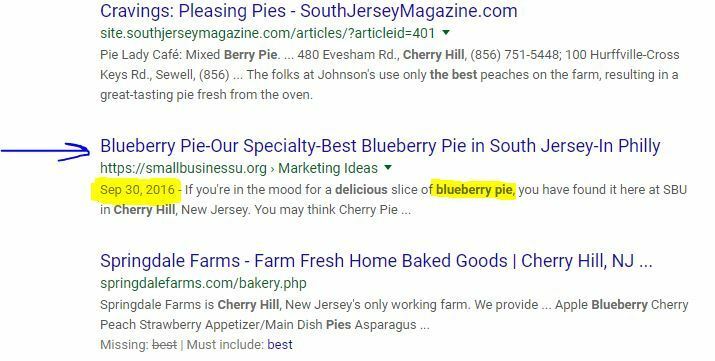 We don’t sell Blueberry Pie at Small Business U, but this demonstrates how website content can help a business gain page 1 search results on Google. This page is ranking on page one since 2016 and it’s now 2019. 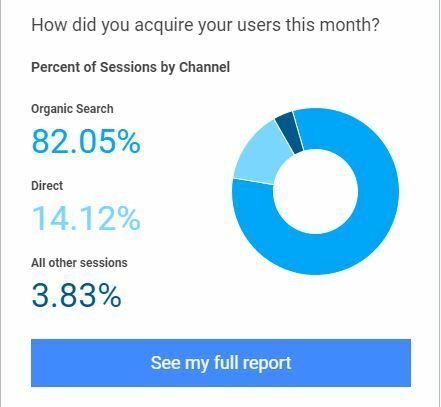 Want a professional opinion on SEO opportunities you may be missing? There’s no fee or sales pitch. Just ask! CLICK HERE! Example #3. This example demonstrates how SEO lasts longer than advertising. I pulled this image of the Google search results TODAY, March 1, 2019 and as you can see, the website content was posted in September, 2016. This is simply a post on our website. NOT an ad. 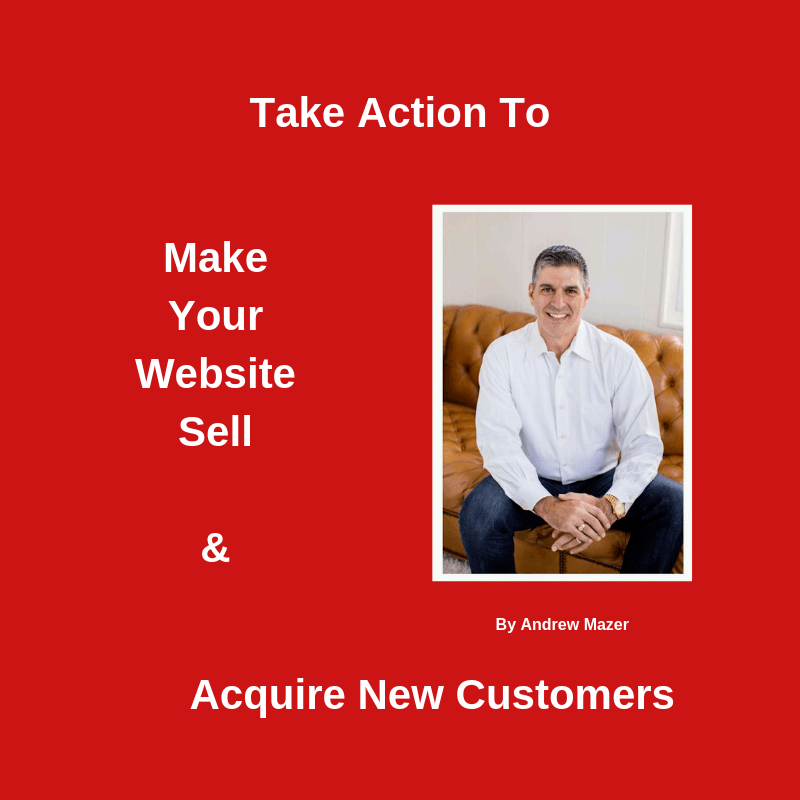 It’s also another demonstration of how to sell what you want to sell AND how to get your business on the first page of Google. It’s common for people to go online to search for a specific type of food. They may search, “The best sushi place near me,” or “The best pizza in[name of town]”, or “The best blueberry pie in Cherry Hill.” In this case, the search term include “the best* [product or service]” and “[place”]. When you intentionally create a page on your website with these search terms, your business and website are going to have a strong chance of occupying a spot on the 1st page. In an experiment to test my theory on this particular subject, I created a search engine optimized post in the Small Business U. blog. As I began writing this “example #3,” I decided to Google search the specific search term: The Best Blueberry Pie in Cherry Hill (where I work and live), and sure enough, the post I created back in September, 2016 still occupies a page 1 result on Google. This is ABOVE places who really DO make and sell blueberry pie! *I used the phrase “the best” in this example, but this is just an example. The larger point is to make a page on your website for everything you want to sell. If I owned a restaurant, I would take a photo of every item on the menu and describe it in full detail JUST as I do with every item I sell on my website, mazerwholesale.com. SEO can be learned and applied by almost anyone. The examples provided here in this article provide the core framework of how content (the words on the web page) help to get your website ranked high on the search results. There are a few other skills which require a bit more knowledge but it’s not something which requires any formal study. I don’t recommend business owners learn all this stuff, you have a business to run. BUT, I DO recommend that you have a basic understanding of the fundamentals. With an understanding of the fundamentals, you’ll be better at thinking about marketing strategy and you’ll also be a better and smarter consumer of marketing services. If you want to get some professional advice about how YOUR business and website can leverage the power of Search Engine Optimization, all you have to do is ask. An evaluation and analysis is free. CLICK HERE. In this article, I’m going to share smart coupon marketing strategies you probably have never heard of nor considered before. What do I mean by “making your coupon marketing 10x more effective and much more profitable?” Here are some ideas you you may have never considered before. Use coupons to promote specific items. Sell what you want to sell most! So many restaurants are marketing coupons for $5 off or $10 off certain size orders. This works, but coupons can deliver a bigger message. They can be used to create awareness of specific items: new items, seasonal items, more expensive items, more profitable items, the items you feel are your wow items, the menu items you love to make and serve. Introducing customers to these items gives them reasons to come back more often, provides more ways to find something they really love at your restaurant, and more reasons to tell others about your place. Coupons can be used to sell a bigger variety. Create a coupon that sells a combination of items. This increases the size of the order while also getting customers to try items they may have never ordered individually. Coupons can get your customer to reach a higher dollar value. While most coupons offer a $5 and $10 off coupon, I recommend offering a $25 off coupon too. The $5 off coupon usually requires a $25 purchase and and $10 off coupon usually requires a $50 purchase. Each represents a maximum discount of 20%. If you include a $25 discount coupon for an order of $200, it has the effect of catching attention. $25 is a big discount and it seems very generous. However, this discount is a maximum of 12.5% and it may be the incentive which gets a group of people to decide to eat at your place rather than somewhere else. It’s a fact, the word “FREE” gets attention. It’s magnet for the eyes and therefore, gets customer’s attention. FREE Dessert, FREE soft drink, Kids eat FREE, Buy 2 get one FREE, these are all attention-getters. When advertising in print along side of other businesses, your FREE coupons will surely draw attention to your ad. Some people are “coupon people” and some aren’t. Some people make their choices around where they can get a discount. Some don’t. Don’t burden yourself with worry because you’re afraid everybody will be getting discounts if you have coupons on your website. #1. It doesn’t happen. #2. Promote your restaurant with the kind of coupons which make you happy when people redeem them. Coupons on your website will make your restaurant show up on Google. “Coupon people” go online and use the word “coupon” when deciding where to go to eat. They’ll search “coupons for Chinese food,” “coupons for pizza,” “coupons for sushi,” or coupons for Indian food,” for example. They make their buying decision based upon where they can get a discount. If you want your restaurant to show up in those searches, you definitely want to have a dedicated page on your website to display and deliver coupons. To build an audience and a herd of loyal customers, coupons should require your customers’ contact information. 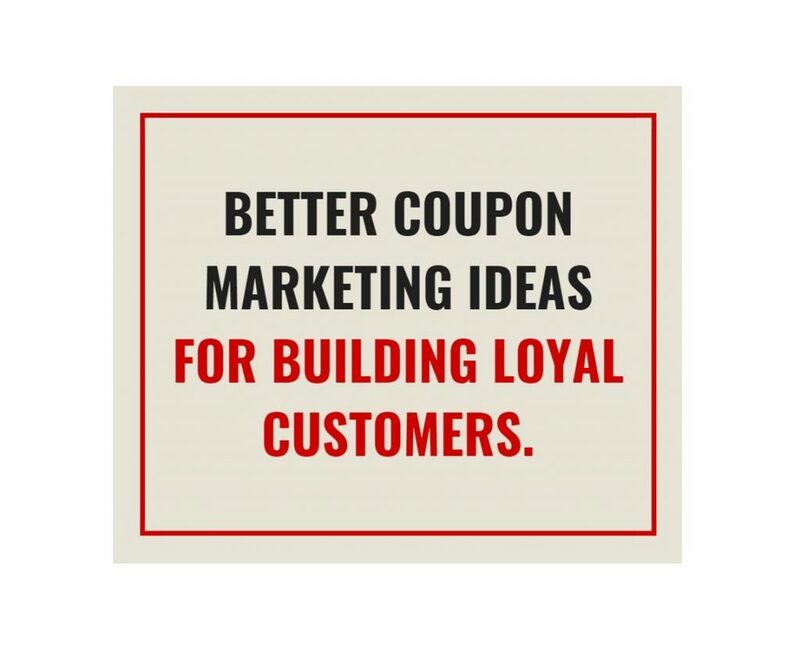 Your coupons should help you build a valuable customer list. Get the Name, Email Address, and Birthday so you can keep in touch and continue to send them offers directly. Today, we can use technology for marketing automation. Done right, coupons can help you build a massive customer list and reach them with friendly messages and offers they welcome in their email box. Email marketing works. Statistically, email marketing provides one of the biggest return on investments of any marketing strategy in history. When people give you their contact information they are giving you permission to send them your offers. This is a gift, and most independent restaurants are missing out on this golden opportunity. Coupons on your website: You don’t need loyalty programs! Yes, coupons on your website are always available, BUT, isn’t it nice when people come back often? I always tell my clients, make your coupons so that when they’re redeemed, you don’t get mad, you get glad! Unlike loyalty programs, coupons on your website don’t require you to buy equipment, train your staff, print punch cards, or pay high fees for a membership or enrollment. Some restaurant owners who run print coupons in the direct mail packs complain because they only see certain customers once a month when they run the coupon. I say, tell them to run the coupon on their website and they’ll see the customer more often. As long as you’re giving modest discounts with your coupons, everybody wins. It ends up working just like a loyalty program. There’s a direct correlation between email marketing and revenue generation. It’s a proven fact that keeping in touch with customers and an occasional offer will boost sales and profits. Want to Join Our Email List for Information About Our Specials and Coupons? Every customer should be aware of the opportunity to be on your email list. Customers who use Groupon and every customer who redeems a coupon is already interested in money-saving opportunities. Most of them will agree to join your list for the promise of future invitations to your restaurant which include a money-saving coupon or news about specials and events. Do this with a link on the Home page of your website: CLICK HERE FOR SPECIALS AND COUPONS. It works. 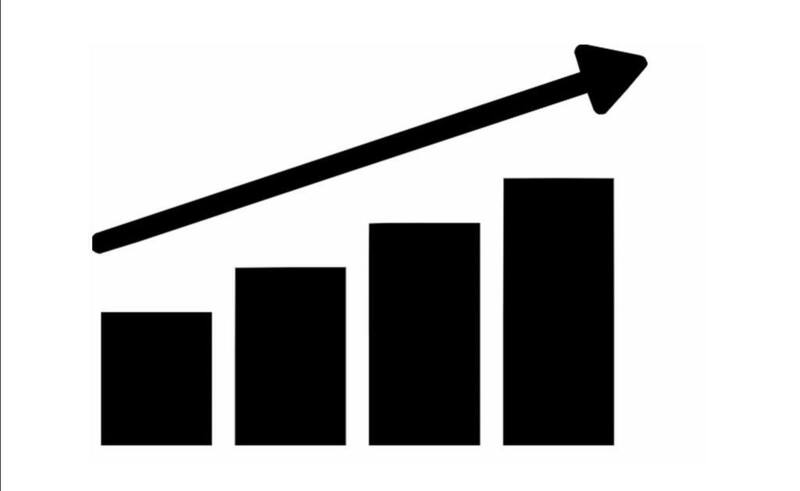 Customer frequency (a key factor in customer lifetime value) is a vital measure of a restaurant’s success. Keeping in touch with email, with or without a coupon, keeps your restaurant in top-of-mind position and effectively increases the number of times a customer will patronize your restaurant. According to Gather, an event and restaurant marketing firm, the average size party at a typical full-service restaurant is 3.7 guests. One of the reasons you advertise is to keep your name in front of people so they don’t forget you. Some call this branding. Another reason you invest in advertising is to attract some new customers. Every time you advertise in print or online with a Groupon-style deal, a certain number of people who see your ad will visit your website. This is especially true of the potential new customers. New customers who see your ad will visit your website because they want a to know what to expect. They want to see your menu, take a look at your dining room, and your parking situation, among other things. Now is the perfect time to get these new people to sign up for your email list. CAUTION: Nobody wants to be on your mailing list. They DO want to be on your Coupons & Specials list. The best way to get people to join your list is to provide coupons which require the customer to enter their first name, email address and birthday month (leave birthday month optional). I recommend moderncoupon to be your coupon distribution system. It’s a done-for-you online coupon distribution and email marketing automated tool which also provides other great benefits like Search Engine Optimization and Social Media Marketing. Valentine’s Day can be a very big day for a restaurant. Want to learn how to make it even better? Here’s a Valentine’s Day marketing idea I invented a few years ago and found it very effective. Forget About Valentine’s Day!…It’s Valentine’s WEEK! If one person wants to celebrate Valentine’s Day with sushi, but the other wants Italian, then someone will be a little disappointed. Some couples will compromise and go out to dinner twice to celebrate. If you make the Valentine’s theme and menu available for the week, and if you let people know about it, this idea really works. Some people have to work on Valentine’s Day or have other commitments and can’t go out to dinner that night. Making your special Valentine’s celebration last all week is their perfect solution. Your Valentine’s Day special menu should be bigger, bolder, and more expensive (and more profitable) than a typical meal. Why not give this special selection a chance to sell more than on just one night? Your Valentine’s Day special menu may include something which is not normally on your menu. This is a chance to introduce something different that people may fall in love with (no pun intended). It may become a regular item or show up from time to time on your specials list. SUBSCRIBE to get notified of every new blog post and my email Newsletter. How do you let your customers know about your week-long celebration of “The Love” holiday? Email. Email them 2 weeks before the holiday, a week before, the day before, and the day after, and always remind them the end date so they still know they have a chance to celebrate with their sweetie. As mentioned above, you should also use Facebook, Yelp, Eventbrite, and Craigslist to market this event. Why not? It’s free. Want some help with any of these ideas? Just send me an email: Andrew@smallbusinessu.org. SUBSCRIBE to get notified of every new blog post and my email Newsletter.